St. Mary's Church is one of six churches which make up the Whitton Benefice, part of the Diocese of Salisbury. 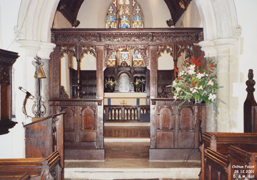 The other churches in the Benefice are all local village churches close to Chilton Foliat: Ramsbury with Axford, Baydon, Aldbourne and Froxfield. The Lych Gate and the rows of limes are the parish's memorial to those who died in the war 1914-18. The trees to the west of the limes each represent a life lost from the parish in the war 1939-45. The church appears to be a 13th century building, although altered, especially in the restoration of 1840/45. 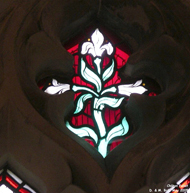 The bells were tuned and rehung and the frame strengthened by Mears and Stainbank in 1932. Parish registers have been kept since 1569 without a break. The originals are at the Wiltshire History Centre in Chippenham. Our lovely church is badly in need of disabled access for church goers and for people wanting to visit the churchyard. If you would like to help please click on the 'Support St. Mary's' button below. We are also in need of financial help towards mowing the very large churchyard - see Mowing scheme below.